Once again it’s that time – time to go through my photos and pick out my favorites. This year was a bit more quiet on the homefront and I did a fair amount of exploring around the western slope and eastern Utah. I also hiked – a LOT! In fact, I did 55 hikes and logged in just a little over 200 miles on trails in 2018. Unfortunately, many of my hikes were done during daylight hours which, as you know, isn’t prime time for photography. Therefore, I didn’t have nearly as many quality photographs from which to choose this year. As in 2017, these are more favorites of mine and not necessarily the “best” technical quality and may not have that “wow!” factor. 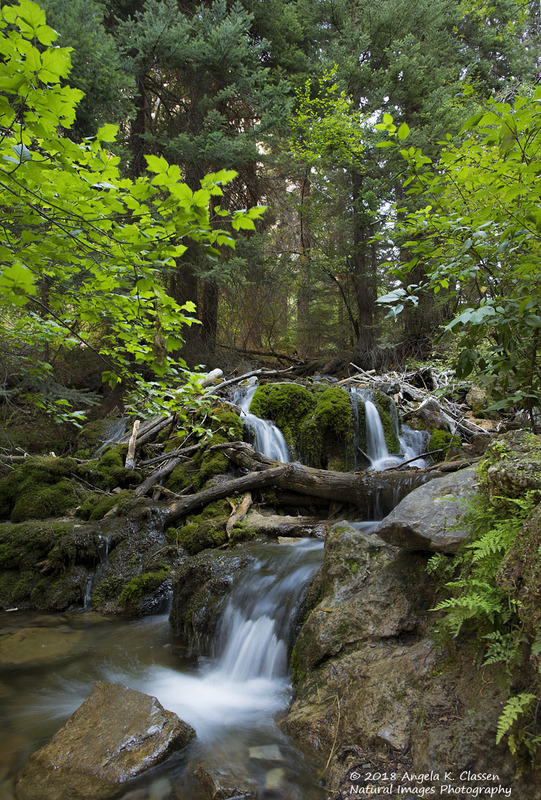 In early September, I hiked the Grizzly Creek trail, which is in Glenwood Canyon, not far from the Hanging Lake trail. It was a gorgeous hike, not too hard, and plenty of great scenery. The trail is never out of sight of the beautiful Grizzly Creek, which plummets down the mountain and creates beautiful cascades and small falls the entire way down. However, one of my favorite scenes from this hike was this intimate little scene of horsetails and ferns. Something about the strong vertical lines of the horsetails and the wavy lines of the ferns interwoven in between intrigued me. In this one, I used a pastel filter from Topaz Impressions during post-processing. Being from Kansas, I love my sunflowers! I shot this one on the edge of the parking lot at Chimney Rock National Monument while waiting to go on the tour. I love how the shallow depth of field created a nice bokeh which makes the flower really stand out. 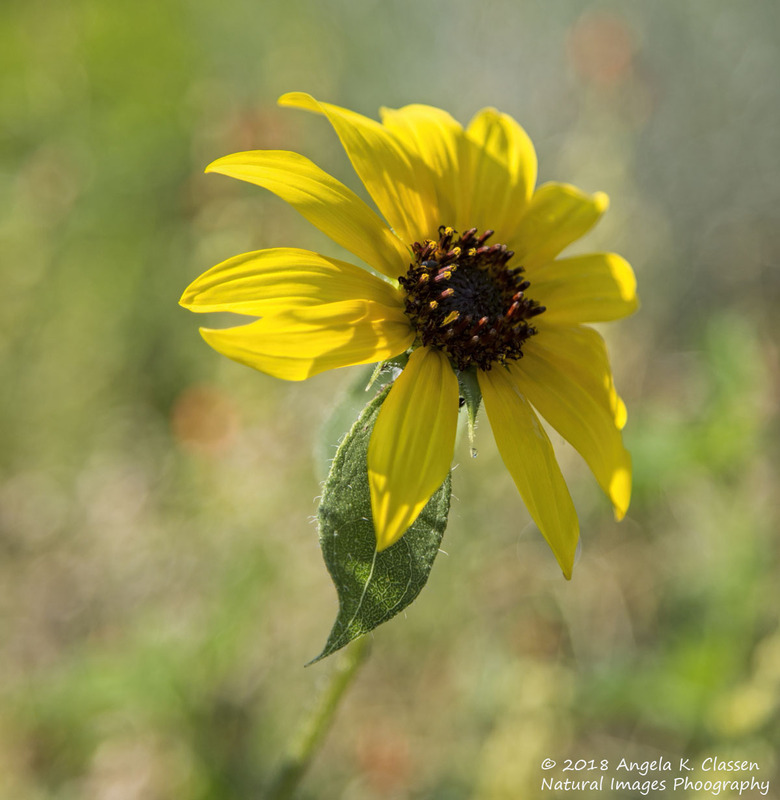 I love shooting wildflowers but sadly, this year was not a good year for wildflowers in the desert or the mountains due to the extreme drought conditions. I’m hoping this next spring/summer will be a bit better. 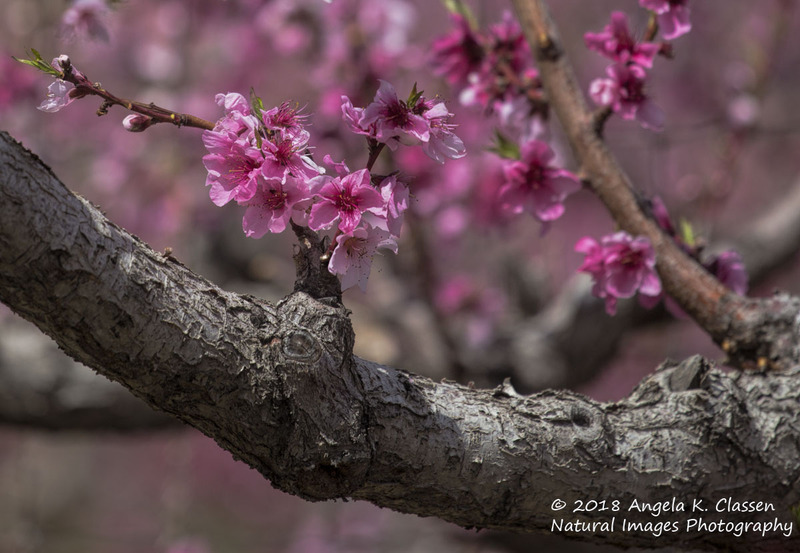 Ever since I’ve moved here, it always amazes me in the spring when the peach orchards in Palisade start to bloom. The delicate pink blossoms are absolutely beautiful en masse. Hard to capture – but beautiful. It is much easier to capture their beauty in a more intimate setting, such as this. 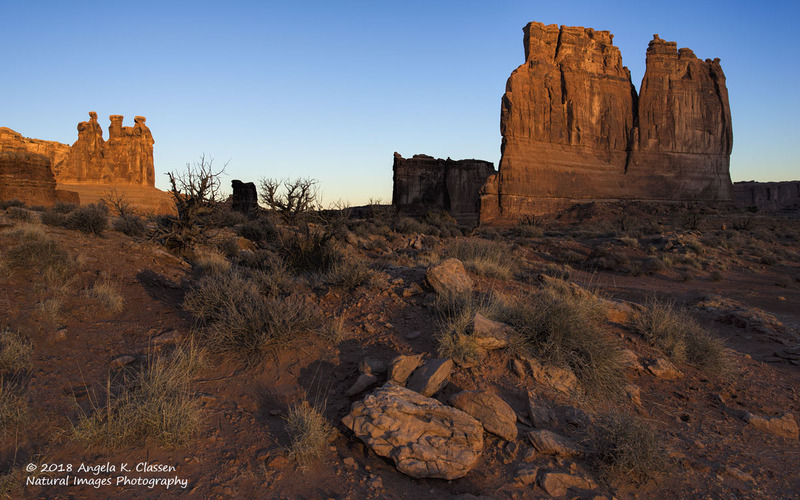 Almost the entire year went by before I ventured into Arches National Park this year. In mid-November, I got up early and headed out there for sunrise and found this great spot close to the Courthouse Towers (on the right) and the Three Gossips (on the left). I liked the leading line created by the rock and grasses in the foreground after the sun peeked over the horizon and lit them up a little. 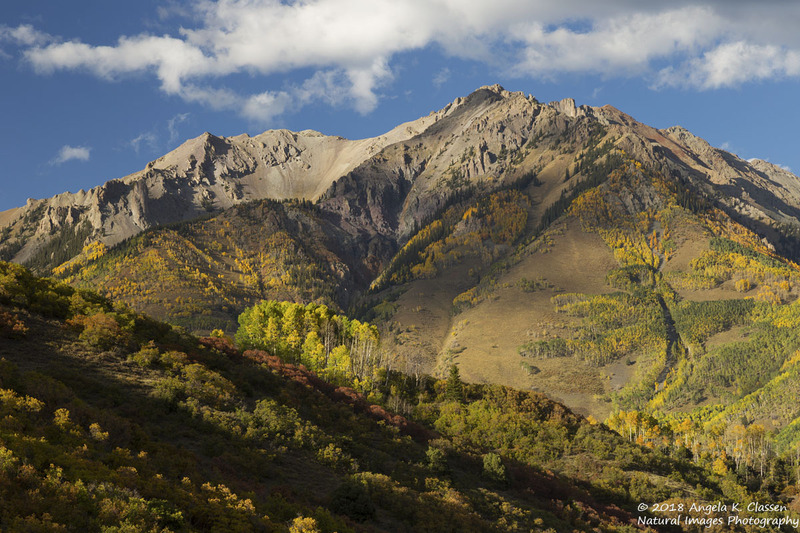 Early this fall, I met up with a co-worker and her husband who are also avid photographers and we camped near Ridgway. On Saturday night, we hung out over on the Telluride side, and found several cool locations on Last Dollar Road. Although when we stopped here, we were shooting to the south/west, I happened to turn around to see the great light on this peak behind us. I also had gone up Red Mountain Pass, which was stunning this year. I hiked up to Hope Lake outside Telluride again this summer. Surprisingly, there were quite a few wildflowers blooming compared to the Blue Lake trail, which I had just hiked the week or so prior. 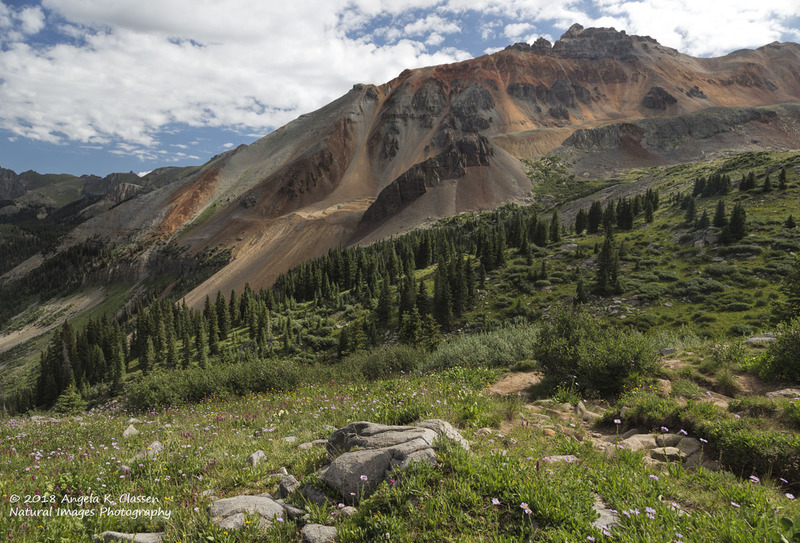 The dappled light on the orange/rust colored peak contrasted so nicely with the line of dark green evergreens and blooming meadow, it practically begged me to stop and take a few photos. So of course – I did! 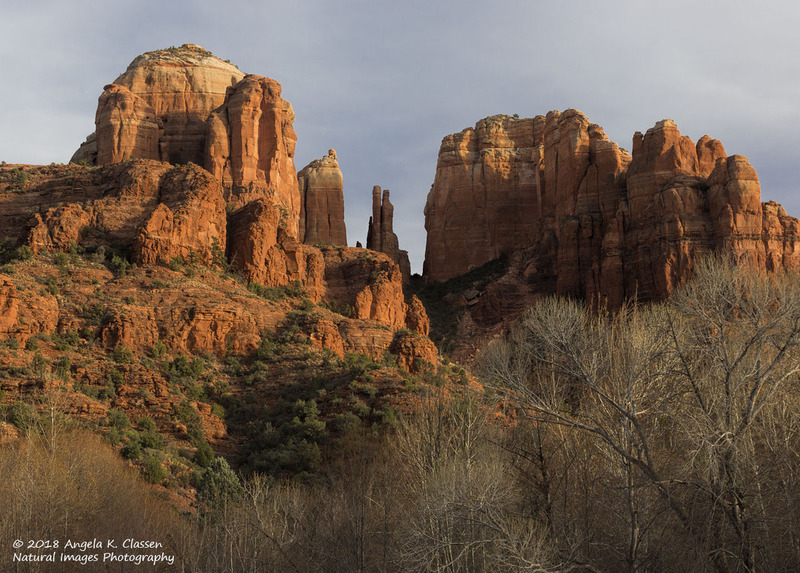 In mid-January, my husband and I made a quick trip to the Sedona area. My husband did some mountain biking while I hiked, and one evening I managed to get back to the Crescent Moon Ranch picnic area. There are several places where you can get some great reflection shots. However, I ended up preferring this zoomed in shot on the iconic Cathedral Rock. The bare trees in the foreground are a nice addition of a different texture to the image. The Colorado National Monument is nearly in my back yard. Well, ok – it takes me about 30 minutes to get there, but close enough. In early September, I thought the clouds might create an “epic” sunset so headed up there and went to one of my favorite areas, the Grand View overlook. Sunset didn’t turn out to be epic, but I did capture some nice rimlight on Independence Monument (the rock formation near the center of the image). This year, the new hiking restrictions are set to go into effect at the Hanging Lake trail in Glenwood Canyon. I wanted to be able to hike this trail one more time, in case I never get the chance to go again. Like Grizzly Creek, Dead Horse Creek plummets down the mountainside, and there are endless places where you can see small falls and cascades. What stopped me in my tracks with this scene was the area of warm bounce light right above the falls. It was early morning, and when the sun finally rose high enough, it created this beautiful warm light in areas close to the cliffs. I love shooting waterfalls and moving water, and I spent a few minutes in this spot before I huffed and puffed my way up to the top to see the lake. The lake, of course, is stunning but this little intimate scene was my favorite shot of that hike. And now – we’re up to #1! 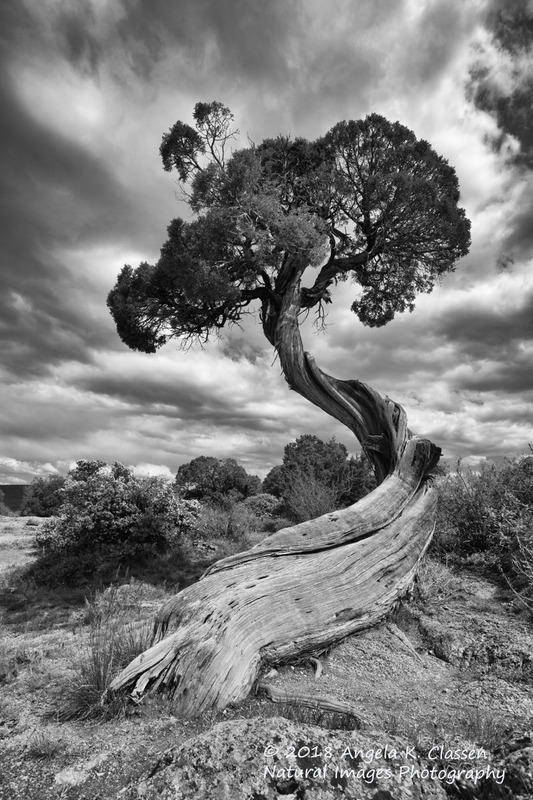 I love, love, love solitary tree images. Something about solitary, twisted, unusual trees really calls to me. This particular tree is at Black Canyon of the Gunnison National Park and I’ve shot it numerous times in different conditions. I believe another rendition of this very tree made my favorite list just a couple years ago, in fact. On this day in May, I got lucky with some cool clouds behind it, which showcased its funky shape and added some drama. Post-processing this one in black and white was a no brainer due to the great contrasts and textures. As for accomplishments, again not much to talk about. 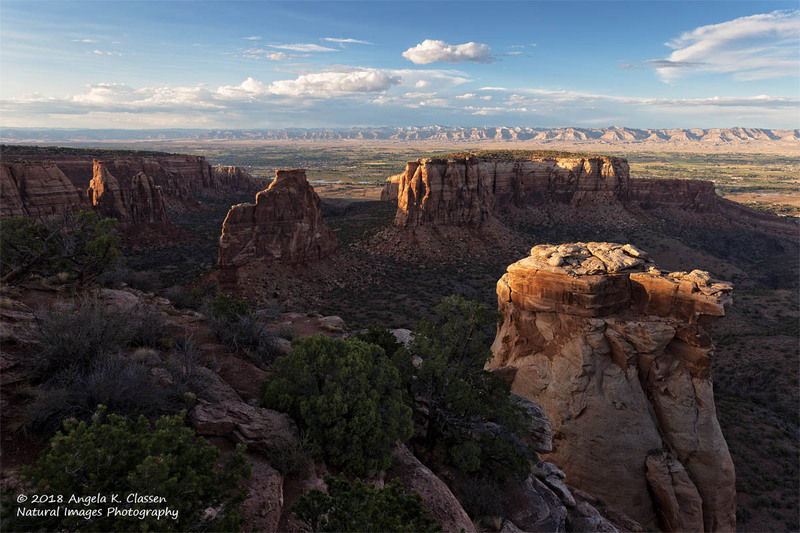 Several of my images made it into the Colorado National Monument calendar, so I’ve now had at least one image in the calendar for eight years running (which is a pretty good record). I’m hoping to get out more at prime times this year for photography, and I’m already hiking with the goal of doing at least 52 again this year. Any comments or questions are welcomed. Hope you all have a great 2019 and have awesome light and clouds for your images!